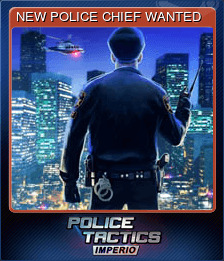 Police Tactics: Imperio | Steam | Opium Pulses - Cheap Prices, Great Service. Promote a rookie to an Officer. 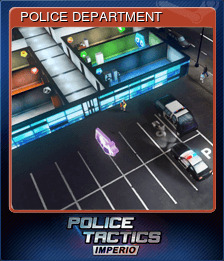 Respond to a crime in under 15 seconds. 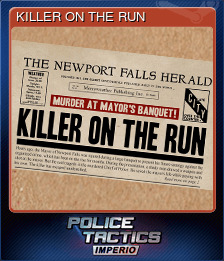 Solve 25 cases (including story missions). Raise the average safety of your unlocked districts above 99%. Obtain a Speeding Camera Van. Upgrade a room to maximum level. Catch a speeding vehicle with a camera van. Arrest a group of criminals while they are on the way to commit a crime. Have 12 employees in your HQ. Solve 100 cases (including story missions). 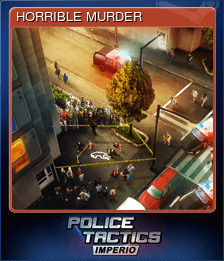 Solve a case after your Investigators failed to gather evidence. Fail to solve 10 cases. End a car chase under 20 seconds. Remove a Crime Ring by arresting its leaders. Remove crime ring under 180 seconds. Own 12 police cars simultaneously. Solve 250 cases (including story missions). Lower the average safety of your unlocked districts below 10%. 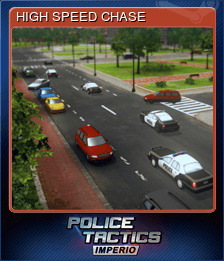 Stop an escaping car with a roadblock. Unlock all districts in the city. Upgrade all rooms to maximum level and fill all bonus slots.